Rogue Bot got you?? Not got forum?? Could it be a plot? A lot are hot because of the bot? Bot so bad you want some pot? You wish this bot would just rot? Well if this bot makes you hot to trot, come to the best Scot Susan spot. 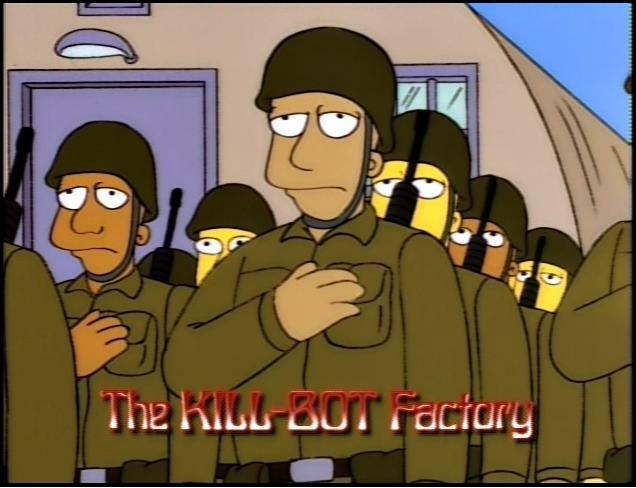 We got no bots to worry about over here. DJG swats bad bots. And what we do have is a lot of bon mot. So take a shot, avoid the bot, we've got the slot. I think it is a bunch of bullbot!! Now they are saying lots and lots of bots and bots! Must be a bad case of Botulism! You have a way of turning a bot situation into a humorous interlude! Thanks Fudge!! You're a bot-tomless pit!! It is probably Dyebot. They're going to reap just what they sow. Seriously, there is something really wrong with the server there. It is quite frustrating. Something about foreign guests making it not work. But to me, they need to free up space. Spend a day deleting old videos, tribute videos, birthday threads-- I am certainly no computer expert, but when space is low on a server it runs slowly. Or even a personal PC. I keep getting directed between posts-- used to be between threads-- now you cannot even read the posts. I wanted to read about the tickets for the Spring concerts-- but gave up. I kept getting and AVG page -- why is that? what does AVG have to do with it? It seems to me that if those in charge of the tech stuff at SBFII are blaming all of this on "bots," they need to learn a whole lot more about working with websites, with forums, and especially with database software and so on. From my perspective here as an onlooker at great remove, I see a huge crash coming on, one from which it may or may not be possible for them to recover, especially if they don't have a "mirror site" or sufficient backup, etc. That would really be too bad, especially since this overall instability could have been avoided starting a long time ago......... Too bad, too sad. Well, I guess SBFII do have Facebook and Twitter connections, too, for their members who use those, and, well, shrug, the rest of their members will either have nothing or will find somewhere else to go for their Susan news. Tried getting in just now.......NO GO!!!!! The site has been in trouble for days now. First it was slow, now I can't get on at all. I get a server error. What happens if it totally crashes? It's bad for those folks who are trying to get their concert arrangements in order. Hopefully they have each others email addresses. And Pen was tracking Susan's flight to Texas. Wow, I hope Susan makes it without her. My advice---start a new site. Do not censor and move stuff so much. And............make DJG the tech person!! Yup, that's what I've been getting. It is not funny at all. So many people are trying to post at SBFII all day. I just tried and my post would not take. I could read some, but twice I tried to post in different threads, to no avail. I hope things get straight at SBFII, but it may not happen overnight. I have been struck by BOT........ulism!! I cannot even get on the public threads over there. OMG.....what ever is Bill going to do???? Whistle while you post, oh whistle while you post..... Uh oh, I'm bullying now. I think?! It now says I have to log in to enter the forum. Helllllllloooooo!! Judy--you know I am banned. However, if you want me to log in....no problema! Just lift the ban. OK, the public forum is back!! Just gotta see if the Rip Van Winkle thread wait is still there. I wonder if he is lip-synching? 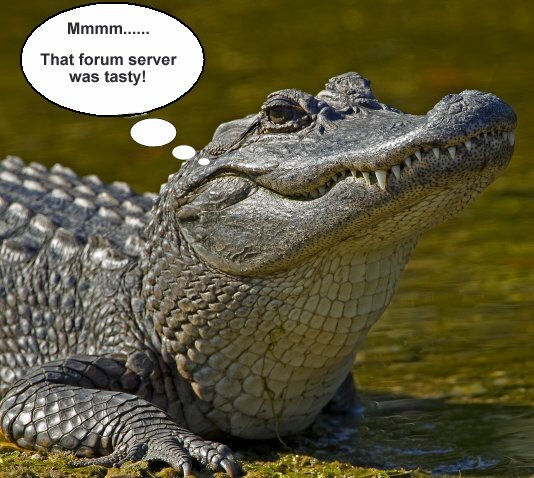 Wow, did Host the 'Gator devour the half-baked, unpaid technoids over there along with the server?